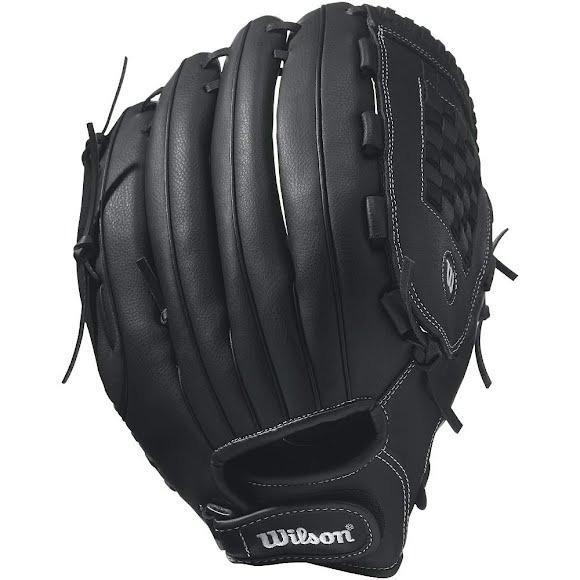 The A360 14" is one of the most versatile gloves in the Wilson slowpitch series. With its 14" length and Closed Weave Web, this glove gives you the ability to play all over the field. It comes with a Velcro wrist strap to help you adjust its tightness to the right setting.The Wilson slowpitch line of A360 gloves provides players with a versatile option. The A360 14" is one of the most versatile gloves in the Wilson slowpitch series. With its 14" length and Closed Weave Web, this glove gives you the ability to play all over the field. It comes with a Velcro wrist strap to help you adjust its tightness to the right setting.The Wilson slowpitch line of A360 gloves provides players with a versatile option. Gloves come with a Velcro strap to help adjust wrist tightness to the right setting.